And happy Friday to you all. I hope you've had much to smile about since last Friday. Our week hasn't been without event but one of them was hardly something to smile about, so consequently I found this morning that I'd very few smiley photos to share here. Seems I've been too busy to take photographs. When I realised this was the case, I nipped out to the garden to take a couple of shots to share with you. But first the event that we all found so upsetting. That was that my granddaughter, her partner and my three little great-grandchildren were in a car accident. 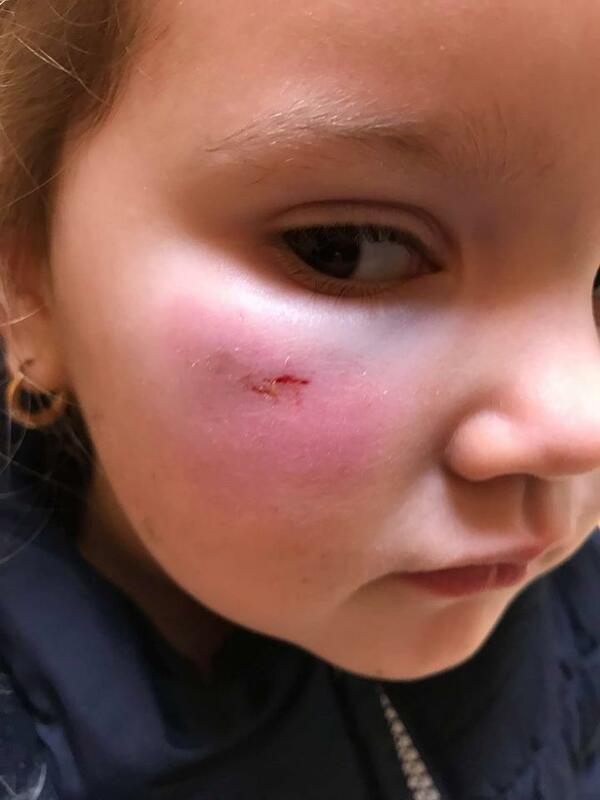 Fortunately it was the cars that came off the worst but Rhian and Lacie had slight injuries and their mum, as you can imagine, was shaken but not hurt. Lacie had what she calls an 'ouchy' on her cheek - somehow she was knocked against the side of her car seat to cause this. 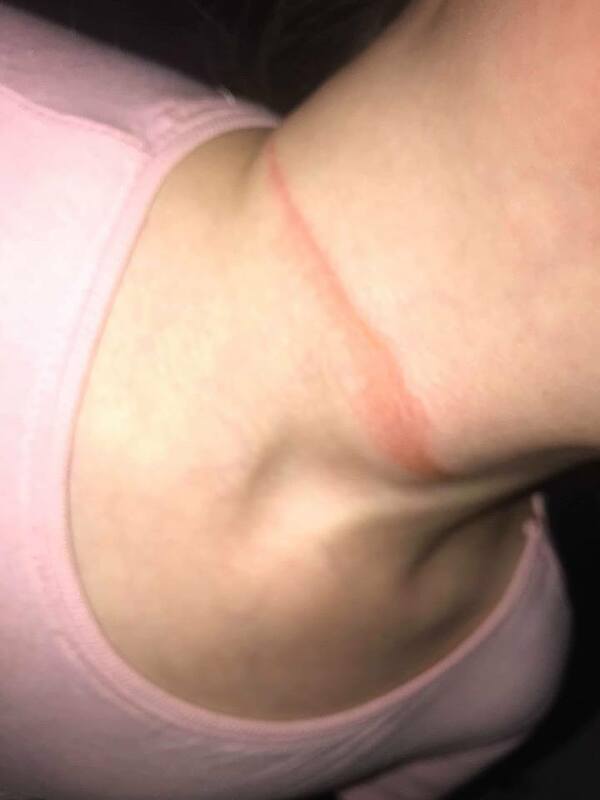 Rhian suffered a burn from her seat belt. A trip to the hospital assured us that there was no permanent damage to either child and, as children do, they recovered very quickly. Family all fine now but what a way to celebrate Bonfire Night. I remembered that this Christmas Rose had decided now is the time to start the festivities! Love the simplicity of the sparkling white petals - definitely smile worthy. 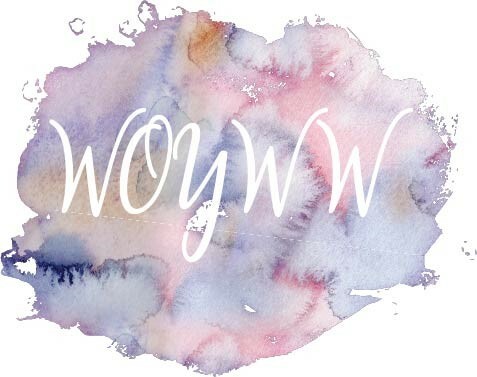 In Wednesday's post I shared my little trays of promise, now here's my first pot of promise. 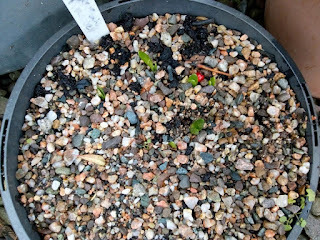 Shoots of dwarf narcissus peaking through already. You can tell that despite some really nasty weather recently temperatures have been relatively warm for the time of year. And then there's these little packets of promise. They've just arrived in the post this morning. 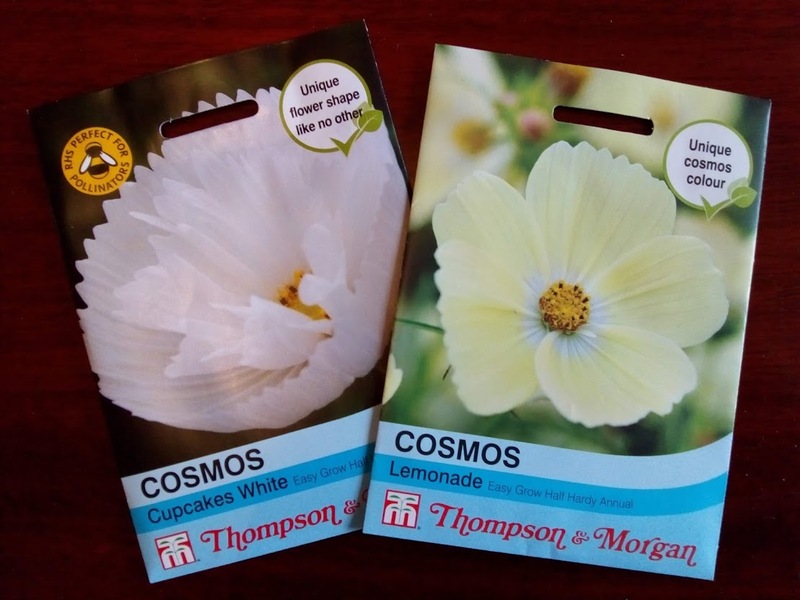 After having quite a bit of success with a pink variety of Cosmos this year I thought I'd try my hand at growing two more next year. 'She walks up the hall shouting Rhian. Me : she’s getting washed. She was deadly serious too. No wonder her mum calls her a firecracker! As you can see, despite the accident there's been reason to smile too. To see many more reasons to smile do pop over to Annie's, at A Stitch In Time. I'm sure she will be delighted if you shared your smiley posts with her - the more the merrier! Oh poor wee Lacie.....thankfully not more seriously hurt and cars can be replaced.....give her big hugs from me. 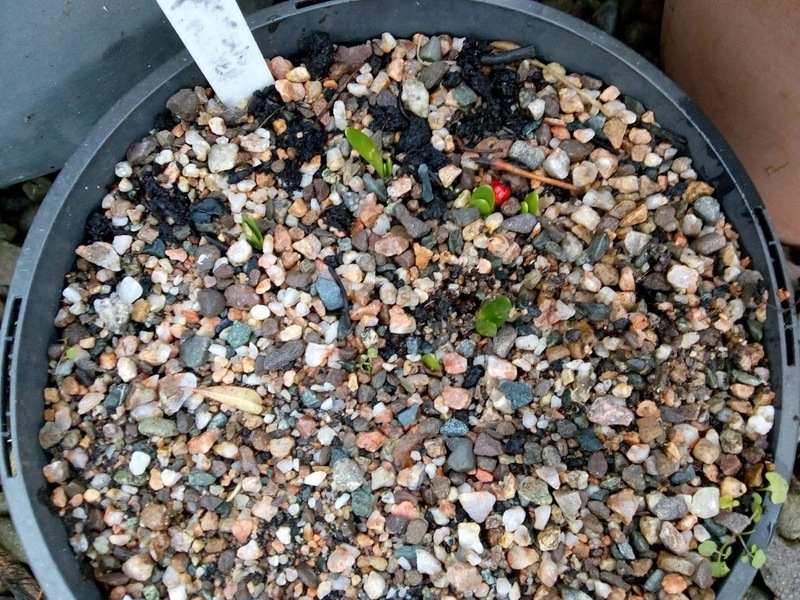 I always love the first signs of Spring when the little bulbs emerge. So good that they were no badly injured but I bet it shook them all up. I love the cosmos, so delicate but sturdy at the same time. It seems to me those "safety devices" need some serious makeover. I'm thrilled the children are going to be OK and have not suffered serious physical or emotional damage. Your Christmas rose is amazing. 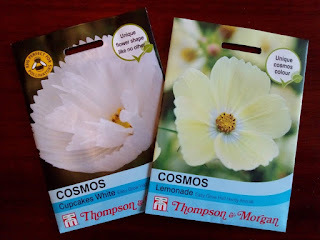 I also love cosmos, but none of mine came back this year. So glad you got some different colors I've not seen before. Have a super rest of Friday and a fantastic weekend, Elizabeth. I'm sorry to hear there has been an accident. Thank God no serious injuries.Could have been much worse I suppose. 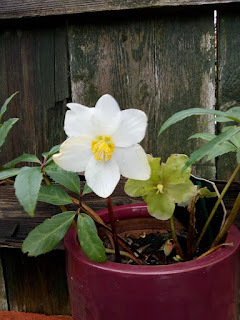 But your story made me smile and certainly the Christmas rose is beautiful. (Not) In A Vase On Monday - Hip, Hip, Hooray!